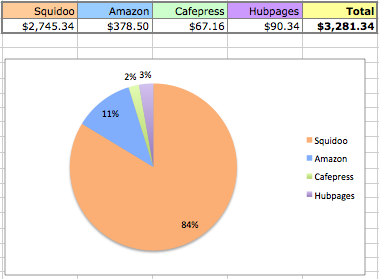 So, the transfer from Squidoo to Hubpages has been a mixed bag. While some lensmasters are reporting good results (including me, so far), others are watching their traffic dry up and wither away. On top of which, a major Panda update just rolled out. Robin (of Hubpages, not Squidoo) had some pointers which I think are well worth trying to follow, even though we may kick at them. Again, thinking we know better than Google may result in our not getting traffic than Google. It’s irksome, but if we’re losing traffic anyway, we may have to give in and play the game. I am certainly ripping out Amazon products left and right as I update hubs. I did not get rid of my Greek mythology books hub, but…we’ll see. Going forward, I will definitely be focusing on my informational articles and not writing any more product reviews unless I really, really hit something that I love enough that I want to share it with my RL friends and family and online friends. One question: Do you have a couple/three/four examples of “good lenses” that promote Zazzle? OOPS! Confession time! While I do have the odd Zazzle graphic on my lenses, like my Sea Hare lens using a funny T-shirt to jazz up the guestbook, my lenses about my shops are seriously out of date…they’re still featuring Cafepress designs! Here’s one, and it’s sneaky: my Funny Signs and Billboards lens includes a Zazzle gallery with “Demotivational Posters” whose spoof punchlines are a little too small to read, so visitors tend to click on them to view the posters on Zazzle. I haven’t sold too many, but at least this helped the lens get more clickouts (which impact its lensrank). What about a lens dedicated to showcasing Zazzle art — either your own, or other people’s— to get a commission? Let’s check out some other members’ fine lenses featuring Zazzle products. I did a quick search for the “zazzle” tag on Squidoo and checked the results against Fluffanutta’s Squidaholic tool to see what kind of traffic they’re pulling in, since I can’t tell how well they’re selling. So, the comments below are about how the lens is laid out, how products are presented, and (because I know this stuff) some basic SEO-for-Zazzle tips. It’s wise to get eggs in multiple baskets — that is, income streams from multiple online sources — to protect oneself against Google penalties or policy changes on any one site. Whereas last year I decided to make a go of treating Squidoo as a full-time job, this year I’m trying to diversify. Here’s what I’ve been doing lately. Regardless, this is the time to gather data about what your visitors are buying. On Squidoo, click the $$$ tab on the dashboard to sort your lenses by recent affiliate sales. Right-click the “Stats” button under each lens with $$$ commissions, choose “open link in a new [browser] tab,” then click Squidoo’s “Royalties” tab to see what items were bought from that lens. Create new articles targeting similar kinds of products, which evidently you can sell because you’ve already did sell some! But wait— remember my little riffs about coincidental sales versus direct sales? Direct sales come from a review or “best of” list you wrote in which you featured the product. Coincidental sales come from articles you wrote for another purpose — a How To article or a tutorial, for example, where you featured books related to your topic or included the materials used in a crafts project. It’s the coincidental sales you want to look for. You already have lenses to sell the direct sale products, so you don’t need to make another. But if you accidentally sold toothbrushes on a lens about hairbrushes, maybe you should make a toothbrushes lens. There is actually a spectrum between direct sales and coincidental sales, because people often click on a product review, go to the online retail website, and wind up buying something else entirely. Consider creating lenses on “I went to buy X but bought Y instead” products. Of course, you’ll have to use your judgment. There’s many things that one visitor will buy that no one else will buy — that’s the beauty of the long tail. But it’s time to examine all your sales and see if you detect any patterns (similar kinds of purchases) or any really good ideas for product reviews. New lenses may not get out in time for this holiday season, but at least you’ll have them for later. I’m always fiddling with ways to display Amazon Associate links with big bold images and appealing layouts so they get more clicks. I’ve got a few tricks I use all the time. They’re fast, and I do them almost without thinking about it. Unfortunately, when I try to explain them, they look scary, because the code Amazon gives us is scary, then I have to insert minor tweaks. Hopefully they will prove useful to somebody. This is an unsolicited, sincere, enthusiastic endorsement of a site on writing marketing copy and killer online prose. But don’t listen to me. Listen to Copyblogger. For instance, check out the Magnetic Headlines ten-part lesson. The site is chock-full of actionable, useful advice you can use right now to grab, hold, and tempt your readers to buy and click. Make yourself a cuppa tea, coffee, or your favorite beverage. Take a break and explore the copywriting tips on this site. You’ll be so glad you did. Step 1: I see a post in the Squidoo forums noting that Potpiegirl (aka Jennifer Ledbetter, WAHM affiliate marketer) ha a new post up about Google. Step 2: I read Jennifer’s lengthy (and fairly useful) post on How Google Makes Algorithm Changes. Step 3: I notice that Jennifer’s post links to Google’s 2011 Quality Raters Handbook. Step 4: Classics major training kicks in: Wait, hang on, is this real? Is this legitimate? Why aren’t the major SEO websites like searchengineland, seomoz and seobook salivating over this carcass like a pack of rabid hyenas circling a dying zebra? Step 5: I share the tip with SearchEngineLand, asking if the document is legitimate. Barry Schwartz seems to think so and posts about it. Step 6: Lots of people download the 2011 Quality Raters Handbook. Step 7: Google contacts Barry Schwartz and asks him to take down SEL’s mirror of the document. Google also contacts PotPieGirl and asks her to remove the link from her blog. I owe Jennifer an apology for tipping without thinking. Hopefully the amount of traffic that has landed on her blog as a result of this offsets the inconvenience of having to delete that link. I also feel guilty for my part in spreading the leak, but I honestly think that having the Quality Rater Guidelines out there will encourage people to focus more on the quality of their content, which is not a bad thing. So, well, Mea culpa. Now, what are these Quality Rater Guidelines? Simply, they are the rating system that Google beta testers use to test, refine, and improve Google’s automated algorithm. They are not the algorithm itself. But in order to create a computer algorithm which can detect and rank sites relevant to a given search query, Google first needs to know which sites real people judge to be the best ones for a given search query. The rating system is based on relevance to a topic. Content is king, but relevance is queen. And “relevance” here means “gives the searcher what they wanted when they typed in that search.” Is a site absolutely THE go-to place for a particular search query? It wins. Is a site incredibly relevant for that query, satisfying most people who search for it? It ranks pretty well. Does the site only have some relevant content, or is it from a less trustworthy source? That’s going to lose points. If it’s only slightly relevant, fuggeddaboudit. Google defines webspam as anything designed to trick search engines into getting more traffic. So while backlink spamming, keyword stuffing, or other sneaky tricks may work for a while, sooner or later, Google will tweak its algorithm to negate those practices. If you’re doing something only for search engines, it’s probably not worth doing it (save, perhaps, making your content structured, organized and clear enough for search engines to comprehend it). If you’re doing something that really is for your readers, hopefully, long-term, you’ll win. Google doesn’t define all affiliate marketing as spam or “thin” content, but it’s extra wary of affiliate marketing. Raters are told to watch out for warning signs like a product review on one page that sends people to buy things on another domain entirely, suggesting the review is there to benefit the reviewer (with commissions) not the visitor. If you’re doing affiliate marketing, you have to create relevant content that is useful to your readers — price comparisons, pros and cons, your own photos of the product in use, etc. If you only excerpt/quote customer reviews and info from the site selling the product, then your page has provided nothing of value to the reader that cannot be found on the original product page. That’s thin, that’s shallow, and it’s asking for Google to bury your page so far down in search results that no one sees it. 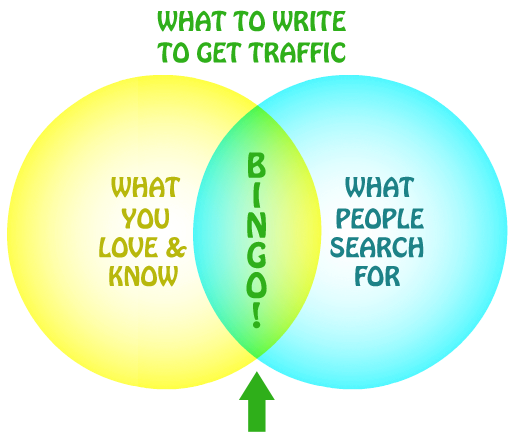 Ask not what search traffic can do for your webpage, but what your webpage can do for search traffic. UPDATE: I discuss this topic a little more here: Google’s “Quality Content” Guidelines: Do You Make the Cut? I experiment with different ways of using images, because they get clicked even when they’re decorative. (And there’s nothing like a visually intriguing thumbnail to get people clicking — they want to see it full-sized).